Timika: "I am aware of my role and duty. I am a teacher. Being aware of those obligations is what I share with my fellow teachers, that a teacher is coming to school not merely to teach. If it were like that, a junior high student could do the job." Ibu Federica Lope, from Santo Rafael primary school in Timika, Papua, is not your typical principal. For nearly two decades, she worked as a teacher in Timika, a mining town at the western edge of Indonesia’s easternmost island and province. Only recently has she accepted a new role as principal of Santo Rafael, one of dozens of schools participating in UNICEF’s Rural and Remote Education initiative (a DFAT funded initiative). The programme seeks to boost literacy rates and school attendance in Tanah Papua (Papua and West Papua), two of Indonesia's lowest-performing provinces in terms of education outcomes. “We also need to learn to be sympathetic and make children like us, to make them say, ‘I want to go to school. I want to meet my teacher'. Those are the little things I did, and praise God, there have been changes." Ibu Federica goes above and beyond the norm. She does more than oversee implementation of the government-issued Curriculum. Mostly, she is concerned with nurturing curiosity, with bringing the best out of each student in the community. One of the biggest challenges, she said, can be parents who do not share her enthusiasm for education. "Many of them are coming with no education background. So I will visit them at their homes, happily, when I need to. House-by-house I initiate contact,” she says. Based on a 2015 UNICEF study, about half of parents finished high school, while 12 per cent never enrolled. A correlate study showed 20 per cent of parents were illiterate. These low levels of educational attainment mean many parents do not value education. Changing those attitudes has been a key goal of UNICEF’s programme, and one that Ibu Federica embraces with zeal. Indeed, during her years as a teacher, Ibu Federica routinely visited the homes of absent students. The approach became a hallmark of her teaching style. It is common practice in Timika is to allow students to advance to the next grade despite poor behaviour, grades, and attendance. This poses another challenge for educators. If children don’t come to school, they cannot expect to receive a passing grade, she says. She pushes her team of teachers to put forth their best effort, and to always come to class. 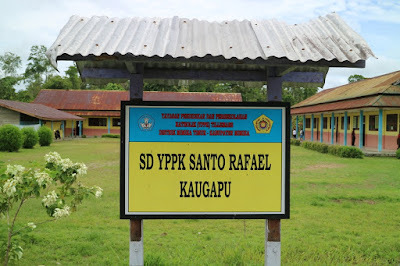 Teacher absenteeism is another problem in Papua. “If the bell rings at 7:30am and we are still outside until 8am, it is a kind of ‘time corruption’,” she says. 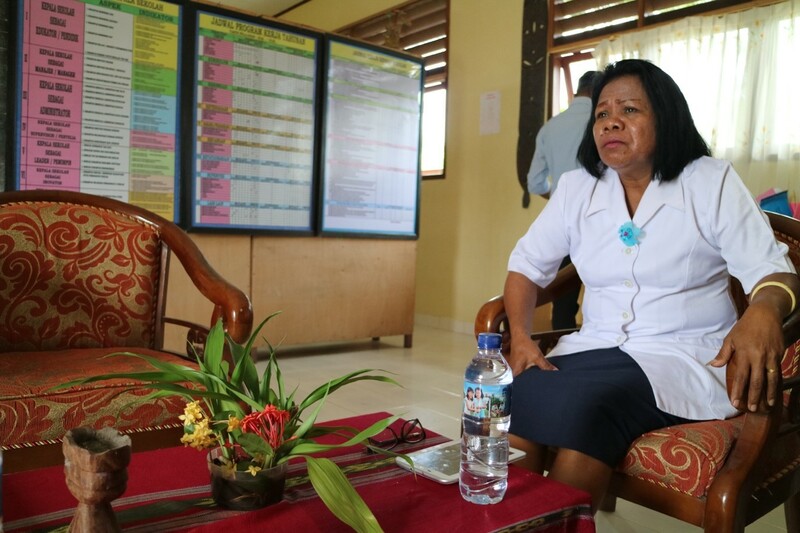 Leaders like Ibu Federica are key to keeping children in school and improving education outcomes so that the average Papuan child has the same access to education as a child in Yogyakarta Province, a national leader in education performance. Ibu Federica shows how, with practical effort and dedication, the education rights of Papuan children might be more fully realized.